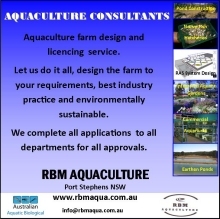 If you are pumping water from dams, rivers, creeks or channels into aquaculture ponds or tanks it’s essential that you filter your water to ensure you do not pump unwanted fish or their eggs into your pond. Normal 1 mm mesh screens or greater are totally unacceptable. 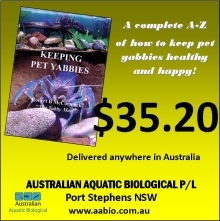 They may screen out larger fish but fish eggs, larvae or animals like glass eels can pass through the screen, pass through the pump impeller and make it to your pond alive. Plague minnows Gambusia holbrooki are notorious for this, the adults get stuck on the screen, their guts and bodies fall apart and their live young are released and go through the screen. 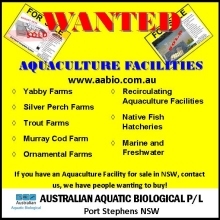 So many farms I’ve visited are infested with plague minnows because they have not screened their water effectively. You need 400 micron mesh (0.4 mm). Stainless steel mesh is the best. 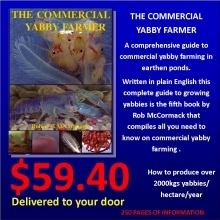 It comes in a roll 1 meter to 1.2 metre wide. I just purchase a 2 metre length at a time. It comes in various grades, if you are in salt water you will need 316 stainless as this is the marine grade stainless alloy that contains molybdenum to resist the corrosive effects of the salt in seawater. 316 stainless is your more expensive grade but the most corrosion resistant. If it’s just freshwater, then 304 stainless will do you. 304 is a general purpose stainless and typically what I’d use for my freshwater pumps. It’s also more readily available from most stainless steel supplyers. Depending on your pump capacity, will influence the size of the filter you will need. It’s a matter of surface area and suction rates. With fine mesh you need a large surface area to ensure it does not quickly clog. 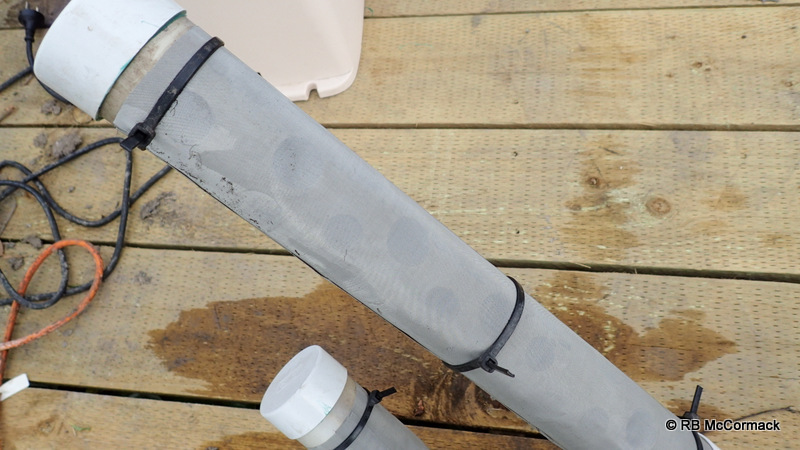 You can make your own filters from PVC pipe. I make them in various sizes utilizing 50 mm to 100 mm pvc pipe. 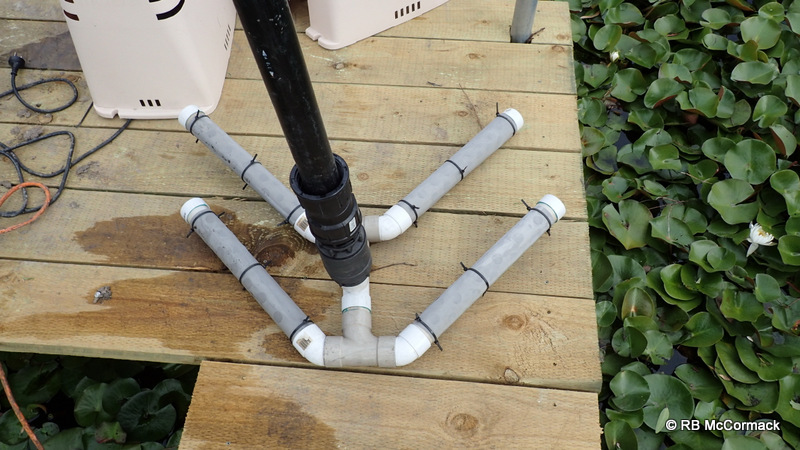 For this example I’ll use 50 mm pvc pipe. This Filter is for a POOL PUMP with a capacity of 20,000 litres/hour. It’s a pool pump mounted on a wharf in a water supply dam and water is pumped directly to the aquaculture ponds. 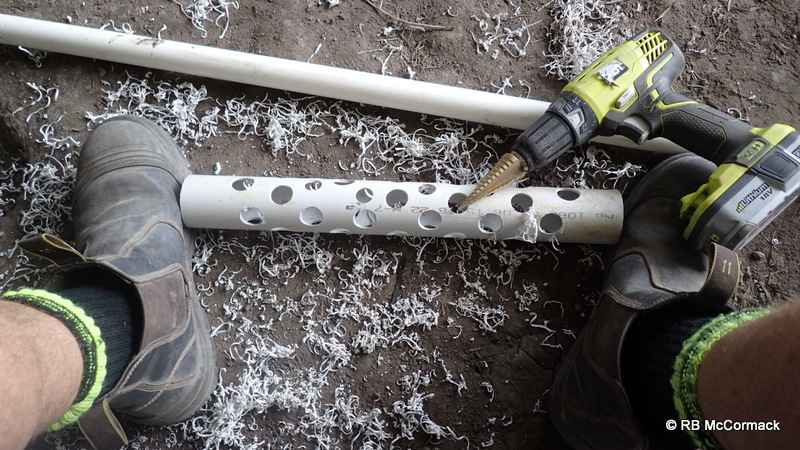 Take a length of 50 mm PVC pipe and drill holes in it. I use a step drill so I can make the holes any size I like. In 50 mm pipe hole are 20-30 mm diameter. 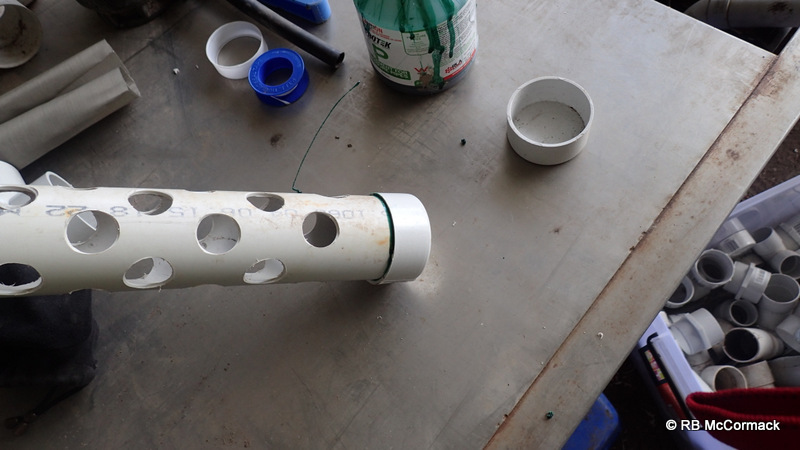 Once you have drilled all your holes, cap one end. Add a 45 deg bend to the other end. Repeat this process by four as you need 4 filters. 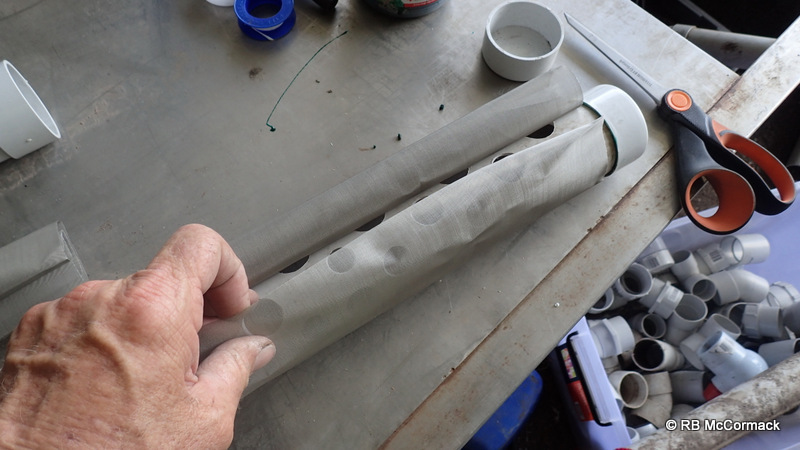 Then you just wrap the pipe with stainless steel mesh. The mesh is easily cut with scissors to the desired size. However, be extremely careful, the mesh has a razor sharp edge when cut, so take care. 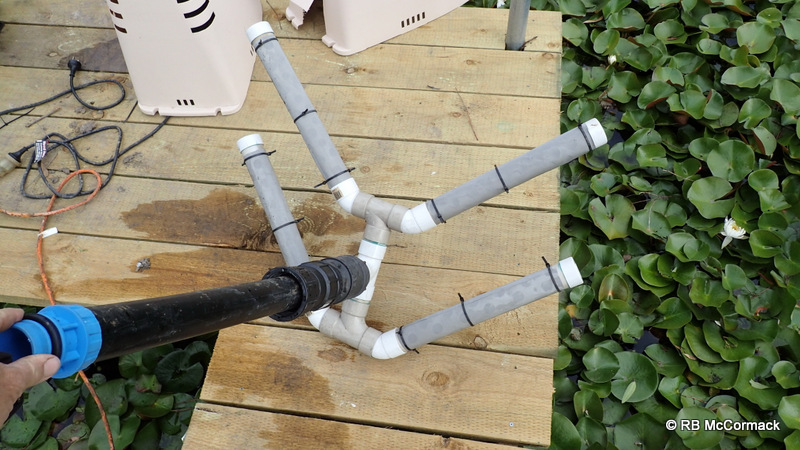 Wrap the pipe and secure with clamps or cable ties. Typically, I use cable ties. Now repeat the process by four. You need 4 filters for the pump. This is what you are building. 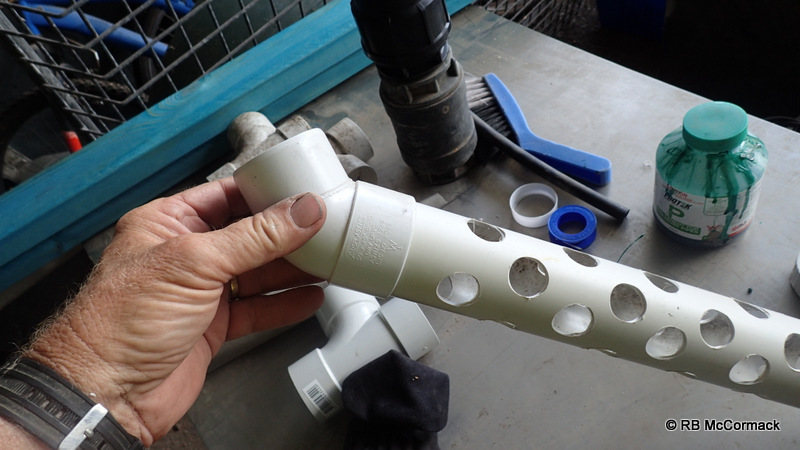 Its relatively simple, just your intake hose into a 50 mm foot valve them a 50 mm tee and then a tee into each branch and then your filters. 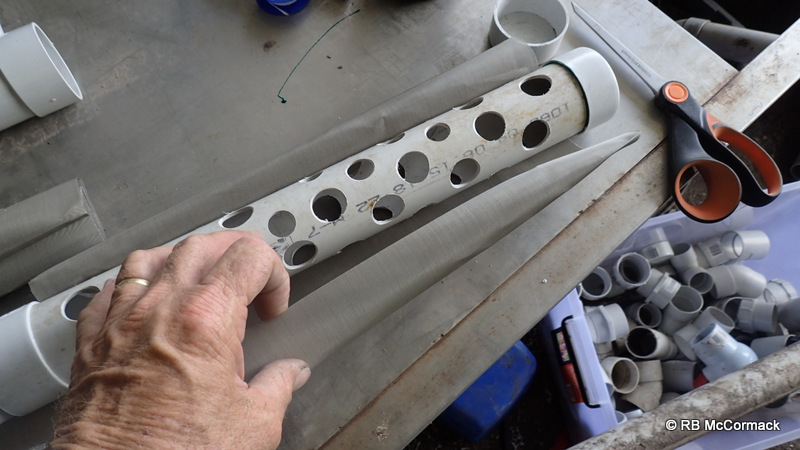 Note: The filter is removed and the mesh hosed clean every 20 or so hours of use. This entry was published on January 23, 2018 / Rob McCormack. Posted in Consultancy and tagged Pump filter. Bookmark the permalink.